Matt Baggott is beginning his first day as Chief Constable of the Police Service of Northern Ireland, becoming the third leader of NI's reformed police force. The 50-year-old has been a policeman for more than 30 years and is a firm believer in taking a neighbourhood policing style. He was picked for the post after a 90-minute interview by members of the Northern Ireland Policing Board, an independent body which holds the PSNI to account. The panel was unanimous in its choice of Mr Baggott, with Policing Board chairman Barry Gilligan singling out his record of managing a police force on a tight budget. Tasked with watching over a community long divided by a bitter and bloody conflict, the role of chief constable in Northern Ireland still brings many political and security pressures despite the relative peace in recent years. An increase in dissident republican activity, with the discovery of a 600lb bomb in a border area and civil disturbances in Lurgan, serves as a reminder that, while there is peace at large, the potential for murder and mayhem remains. The week before Mr Baggott took office, senior members of the PSNI were so concerned that dissidents were plotting an attack to overshadow his arrival, an operation was launched to disrupt the potential for attack. Mr Baggott has the task of tackling all this with a dwindling budget, slashed by £120m for the period 2008-11. At some point, he will also have to manage the politically sensitive transition of devolving policing and justice powers from Westminster to Stormont. His accession to the top policing job in Northern Ireland is the culmination of a long career in a variety of roles, and he will be hoping this equips him for the unique nature of his new role. Mr Baggott has experience of dealing with figures at the highest level of government. As a member of the National Policing Board - which is chaired by the home secretary - he advises the government on issues ranging from partnership to social cohesion. The married father-of-three spent his first 20 years as a policeman in the Metropolitan Police. During this time, he had first-hand experience of tackling inner city crime on the tough beats of Brixton, Peckham and Tooting, while also taking on senior roles such as working as staff officer for then-commissioner Sir Paul Condon. 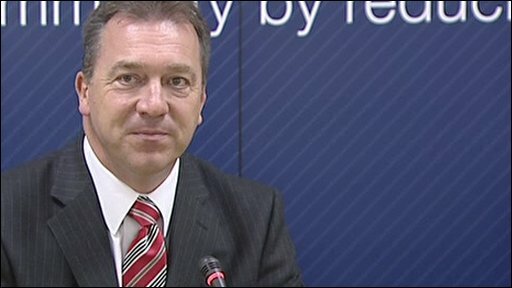 He also has experience of working on high-profile, sensitive cases such as the Stephen Lawrence inquiry, which resulted in a report that found London's police force to be "institutionally racist" and condemned officers for "fundamental errors" in its investigation into the murder of the black teenager. 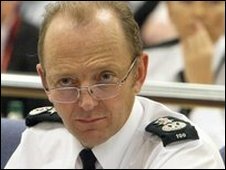 After leaving the Met, Mr Baggott moved to West Midlands Police in June 1998 as assistant chief constable, with specific responsibility for policing diversity, crime and disorder, professional standards and criminal justice. He won promotion to deputy chief constable in November 2001, and moved to Leicestershire Constabulary as chief constable in December 2002. 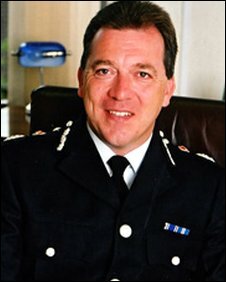 Mr Baggott was awarded the Queen's Police Medal in June 2004, and a CBE in the 2008 New Year's Honours. He was elected a Fellow of University College London in 2006 and received an honorary doctorate from De Montfort University, Leicester, in July 2007. A devout Christian, he is president of the Christian Police Association, and vice-president of the National Association of Police Chaplains.